Here, in South West Florida we are shield by the good chunk of land from Hurricane Mathew and it’s destruction. On October 6th, 2016, more than 2 million people have already been urged to flee their homes, with more evacuations. Up to 1.5 million Americans were fleeing Thursday as Hurricane Matthew — which has already killed more than 100 across the Caribbean — eyed the south Atlantic coastal U.S. as a Category 4 storm. 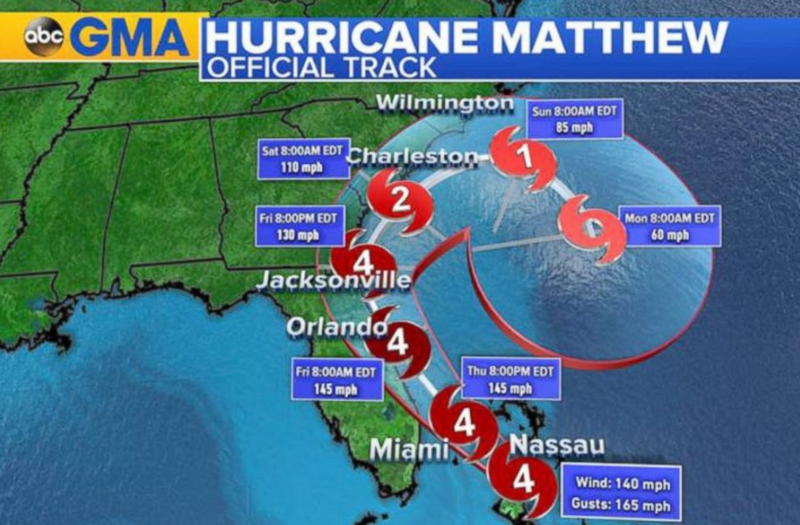 Airlines canceled nearly 1,600 flights by 9 p.m. Wednesday through Friday in anticipation of Matthew. In the past two days, all the lines on the communications were busy . . . people were telling me that they have no power, they were scared, there were literally by the the vacation rentals that I am offering asking if I have any availability and they need a place to stay! The weather at Fort Myers and Fort Myers beach where most of Ella’s Vacation Rentals are located is decent, some minor rain and half of the day there is a sun shine. It was heart breaking to hear how many people were misplaces from their homes. It is the most devastating feeling that any one can ever experience. I was happy that I was able to place so many people in the safe environment, where in comfort they could by pass the time of the life-threatening event, hurricane Mathew. The Gulf area is well protected from a lot of the tropical storms, creates a unique environment where we still have the tropical climate but no danger . . .
Braise yourself, stay safe and dry.